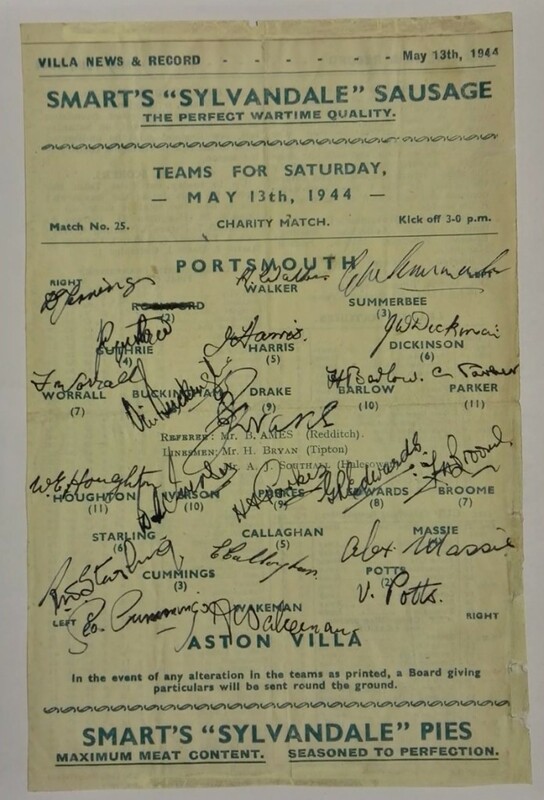 Many charity games were played during the 2nd World War, and this programme from the Villa News & Record gives details of the home and Portsmorth squads who faced off at Villa Park on 13th May 1944. It has been signed by both squads, although Rochford (top left) has been replaced by Jennings in the starting line-up. Can you pick out any famous names?